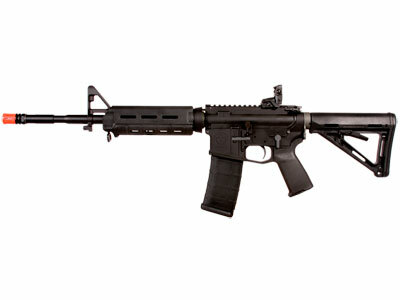 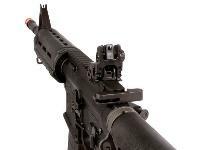 The KWA LM4 Magpul PTS airsoft rifle solidifies KWA's reputation for producing a solid gas blowback rifle with crisp recoil and outstanding shot velocities. 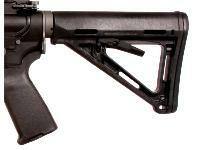 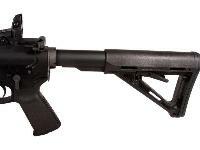 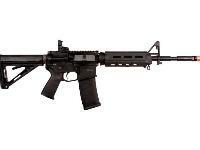 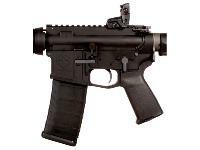 This gun is a combination of metal (barrel & receiver) and ABS plastic (stock & foregrip). 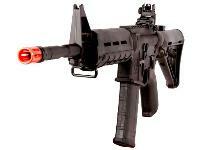 The combination of metal and plastic components lends the gun a comfortable weight when carried in the battlefield. The LM4 Magpul PTR features an adjustable stock that can comfortably accommodate users of any body type, a 38 rd magazine and a shot velocity of 360-380 fps (using .20g BBs). 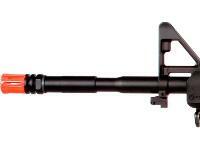 Mount a rifle scope on the top Weaver/Picatinny rail for added versatility. 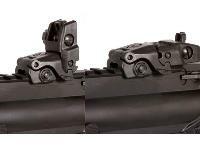 The adjustable hop-up unit can also be tweaked for unbeatable accuracy on your long range shots. 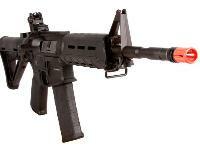 The LM4 Magpul PTS is a solid addition to the armory of any airsoft enthusiast!